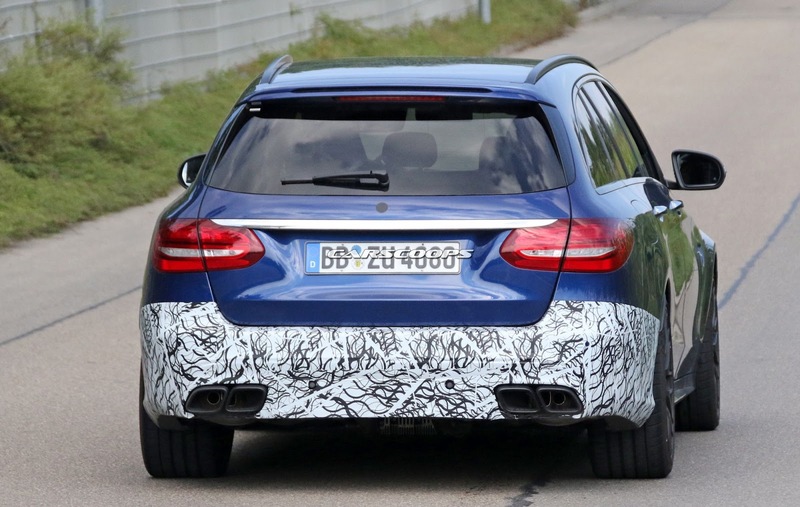 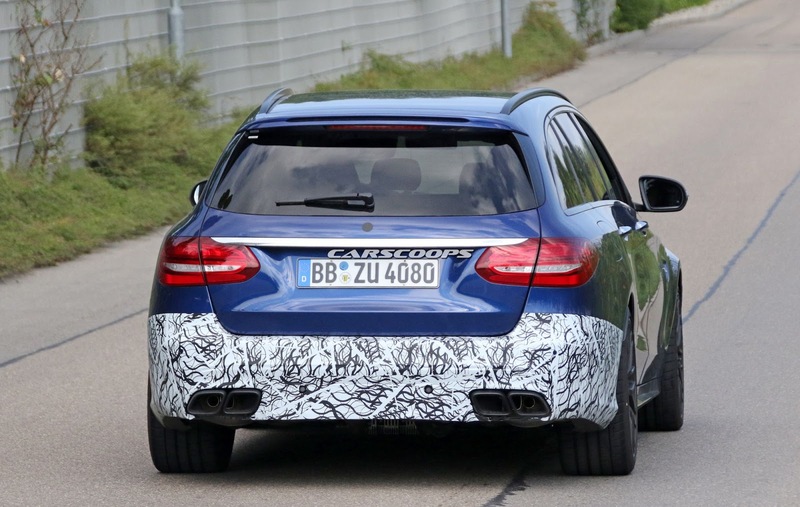 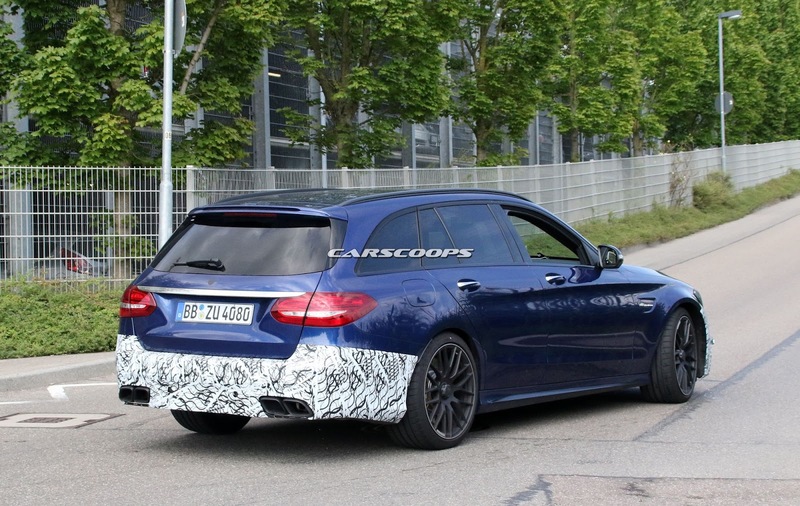 Our spy photographers have managed to snap the facelifted Mercedes-AMG C63 Estate in the midst of testing. 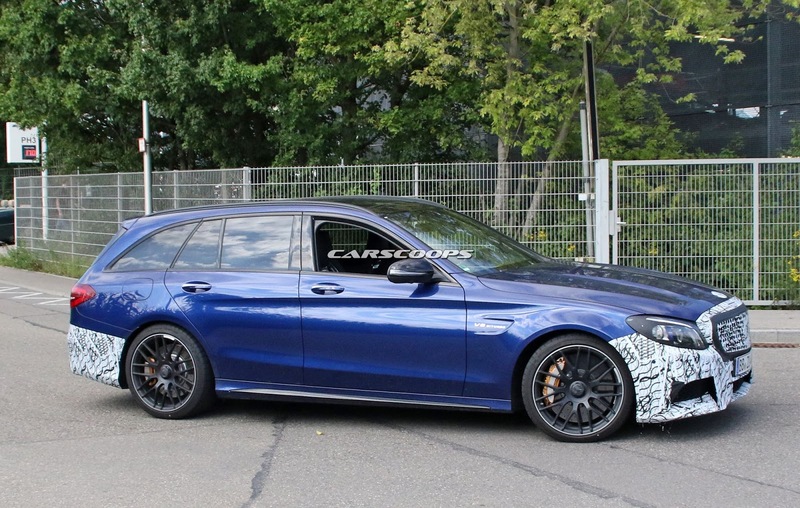 We first saw pictures of the updated C63 in sedan form back in May and for the most part, this Estate variant appears to be hiding the same tweaked parts under black and white camoflage. 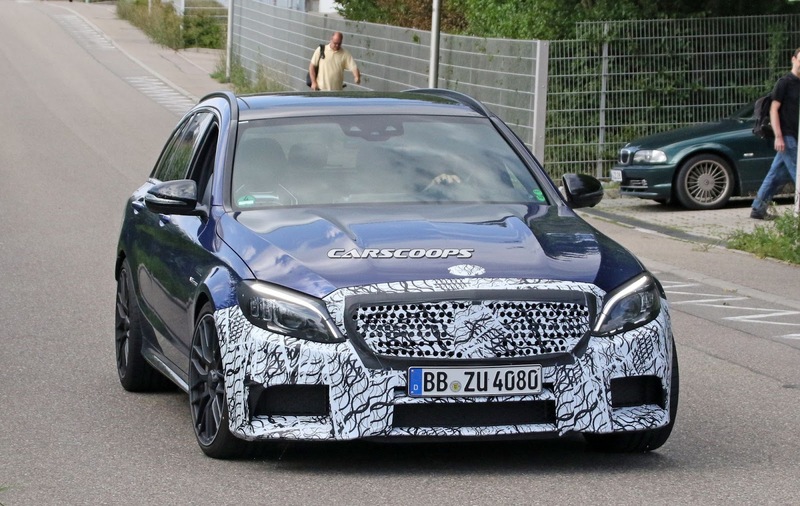 Up front, it is apparent that Mercedes-AMG will update the design of the performance car’s bumper, potentially with reshaped air intakes¬. 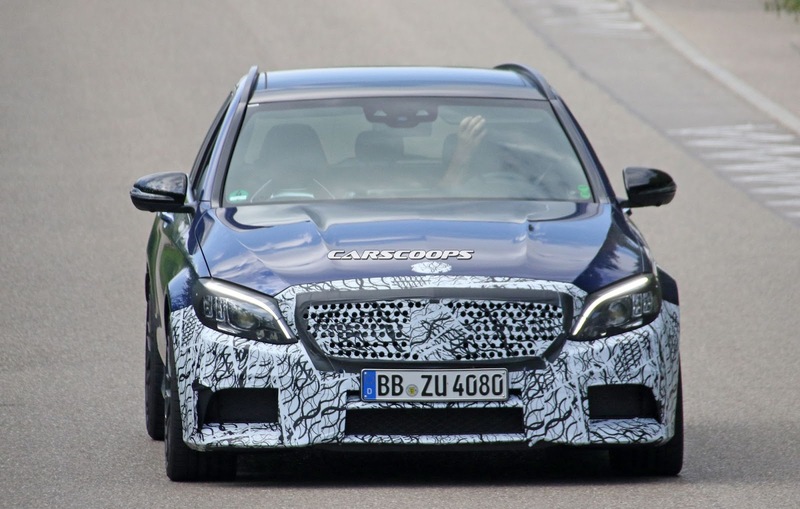 Additionally, tweaked LED headlights will be found on the finished production model. 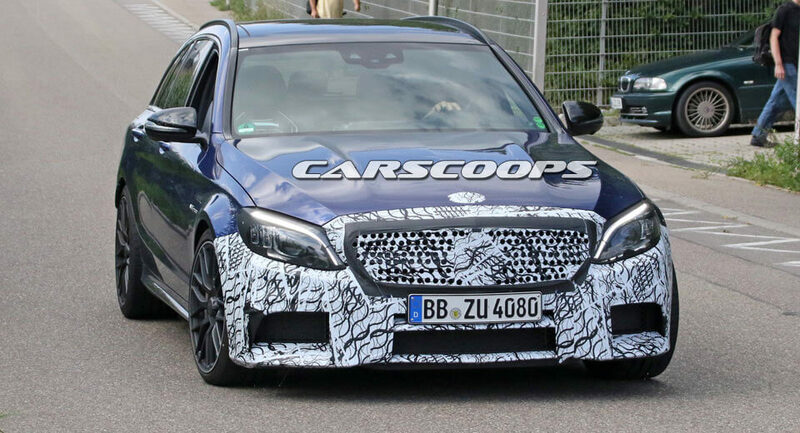 As with recent Mercedes-Benz models, the most obvious difference between the new car and the outgoing model will be the brand’s Panamericana front grille featuring vertical slats and first found on the AMG GT R.
Exterior modifications will be completed with an overhauled rear bumper. 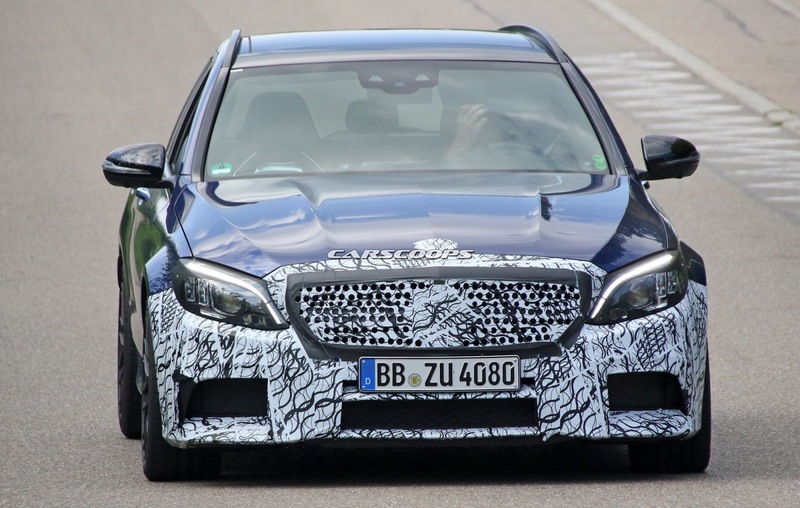 Moving to the cabin, customers can expect to be welcomed with a number of changes, potentially including a new steering wheel and touch-sensitive buttons like on the E63. 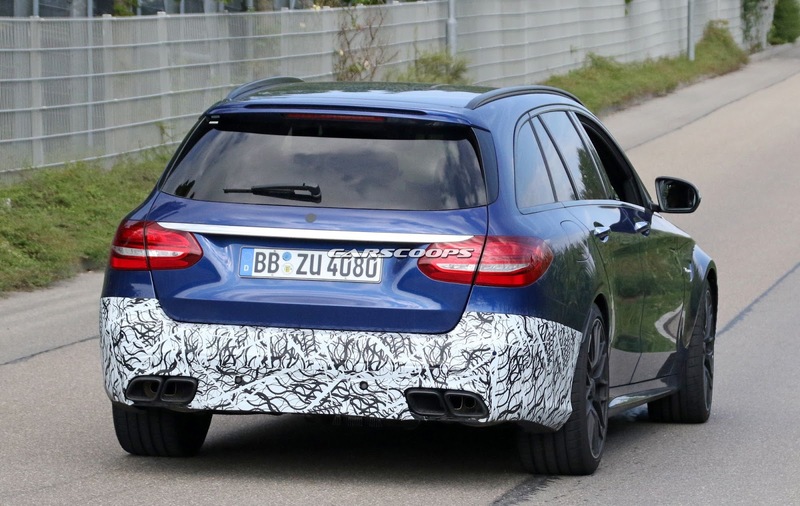 Power for both the C63 and C63 S models will continue to come from a twin-turbo 4.0-liter V8 engine. 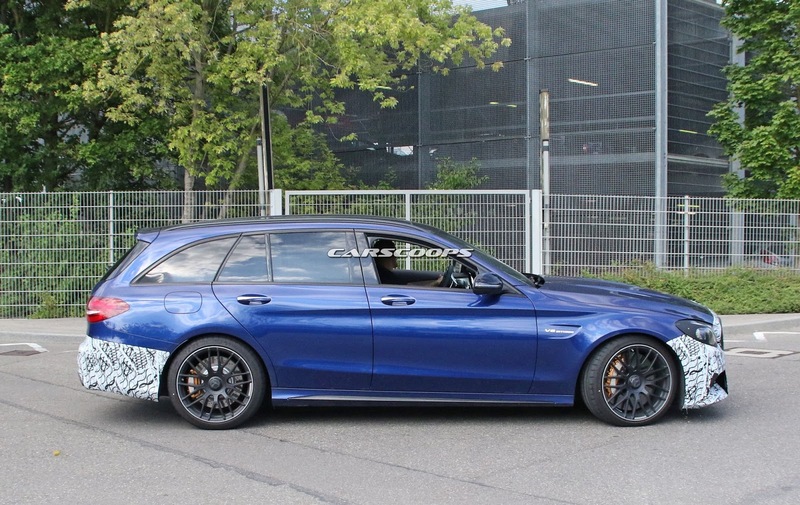 It is possible that some minor tweaks to the powertrain will be made to increase grunt from the 476 PS and 510 PS currently on offer.